WE PRIDE OURSELVES IN OUR KNOWLEDGE OF AUTO REPAIR TO GET YOUR CAR BACK TO THE ROAD. 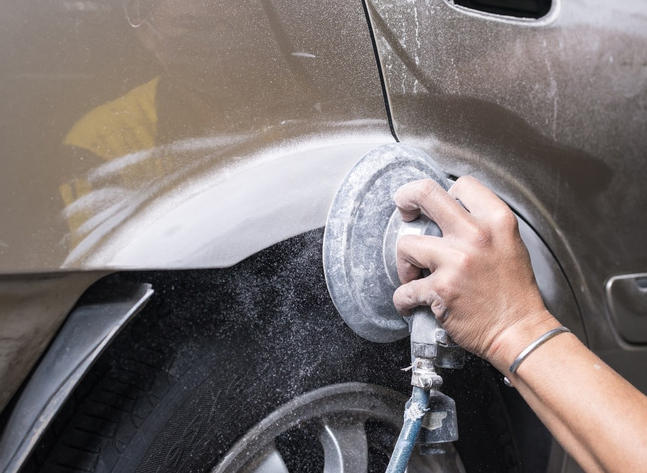 Method of removing dings, dents, creases, large dents, body line damage, and hail damage back to original factory condition. It’s a process of massaging and manipulating the metal in exact locations of the metal to the precise and correct height. I repair both steel and aluminum panels. Aluminum body panels are much more difficult to repair and takes more time and skill to bring them back to pre existing condition. I also utilize a method called “Push to paint” to prepare a panel for repainting by minimizing the use of body fillers and keeping your existing OEM panel and not having to replace it. I’ve done many hail damaged cars over the years with very successful results! I would suggest contacting your insurance agents to get an estimate from their adjuster, then bring your vehicle to us to do an estimate. Insurance adjusters do not put an inspection light on your vehicle and miss a lot of hail damage on your vehicle, we will then summit a supplement for additional damage that was found. I work with all major insurance companies and I’m very familiar with the process. Best of all your car will retain its OEM finish and body panels. I will get you back on the road as quickly as possible. 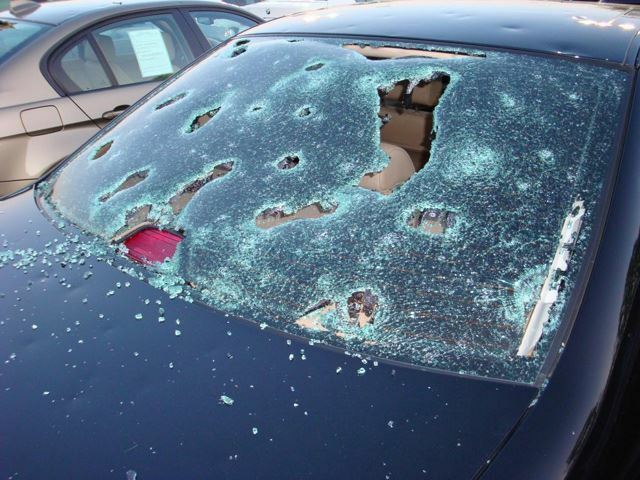 Your insurance rates should not increase due to a hail damage claim, as it is an act of nature. If you have llien on your vehicle, the lender will require that you get your vehicle repaired. If you own your vehicle outright, you may choose to keep the insurance check. 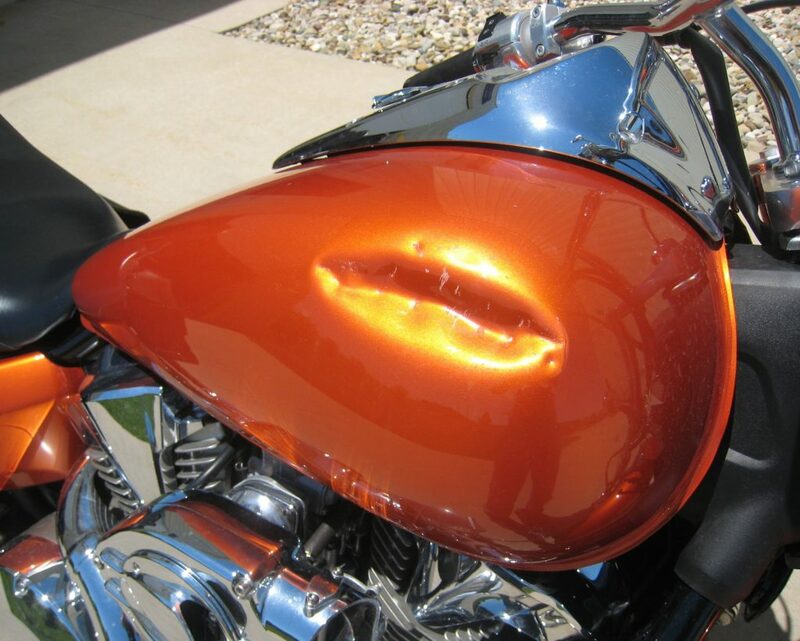 I specialize in Motorcycle paintless dent removal. I have a specialized jig, which I can mount you tank and fender on to hold it in position and steady. I also have specialized PDR tools made especially for motorcycle paintless dent removal. It’s a lot more difficult than working on a vehicle. Its more complicated. The parts on a motorcycle are more cramped, smaller, and the metal is thicker, making it very difficult to remove the damage. Not many PDR companies want or can work on motorcycles when it comes to paintless dent removal, but I do and have done it for many years. I utilize a method called “Push To Paint” to prepare a panel for repainting by minimizing the use of body fillers and keeping your existing OEM body panel on your vehicle, instead of replacing a damaged body panel that has cracked paint. 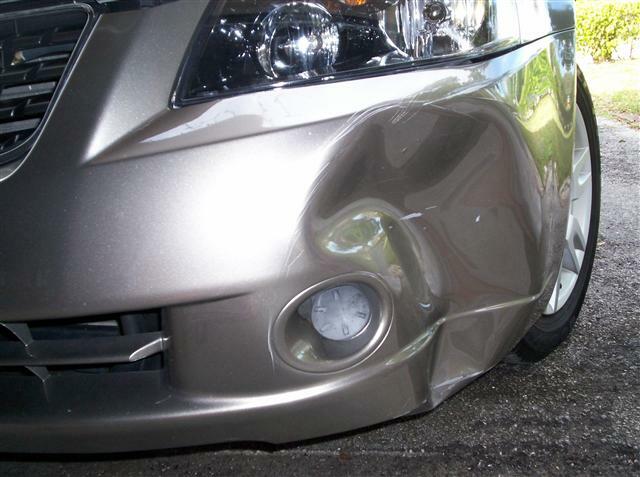 I can remove dents from your plastic bumper, I cannot do anything about your paint that is fractured, or in some cases missing, but if you want the dent removed I can do that, there may be some small imperfections in the damaged area, but the noticeable dent will be removed.